Car SOS Ford Capri 3100 !!!! Last one of the series and they are doing a Capri...and what a capri at that !! 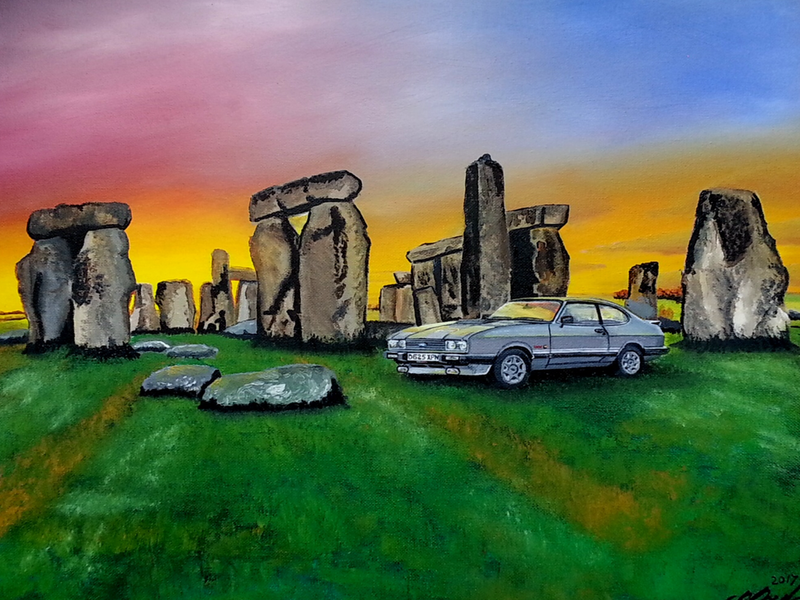 Re: Car SOS Ford Capri 3100 !!!! This Capri was at the CCI on Sunday and what a great Capri it is , Andrew got some great pictures of the car as they must get together with a race company ( can’t Remember the name now ) as there’s a Crome plaque at the side . Looking forward to this show . Haven't got this channel, so will have to wait for a repeat on Freeview. andyd wrote: Haven't got this channel, so will have to wait for a repeat on Freeview. Me too Andy. Though it will be out there online. Jasonmarie wrote: This Capri was at the CCI on Sunday and what a great Capri it is , Andrew got some great pictures of the car as they must get together with a race company ( can’t Remember the name now ) as there’s a Crome plaque at the side . The name on the plaque was Ric Wood, probably the best in the business for building rapid Essex V6 engines. I'd be interested to know exactly how much of this "restoration" was done by him rather than the SOS crowd. I don't usually watch Car SOS, so thanks for the heads up about the Capri episode. At last didn't know this was coming on this week. Andrews pictures show a lot of detail work has gone into it. Looking forward to hearing the background story & seeing the car receive the great work that Fuzz & his team lavish on these restorations. He does incredible things with cars, I know his sister. Was well impressed with his workmanship & attitude. He didn't want to make a simple RS replica, but an uprated version with its own style. Very nicely finished, well engineered & powerful car. One lucky deserving owner. I really did enjoy this as I saw the car on Sunday and then see them build the car up from bits and bobs . Well worth watching . 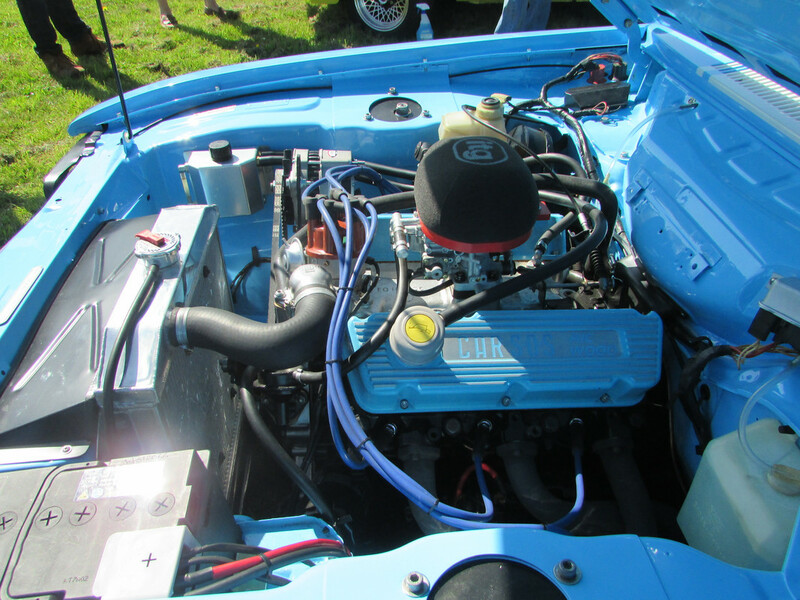 The second cleanest engine bay in existence! Last edited by Andrew 2.8i on Sun May 13, 2018 2:33 pm, edited 1 time in total. Andrew you are a star fella !!! 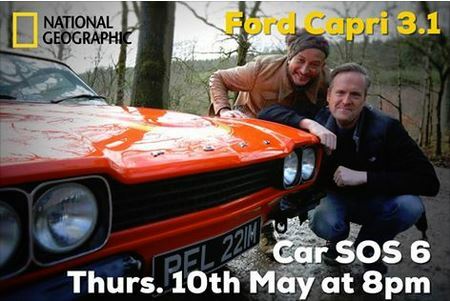 My TiVo did not tape this Capri Car SOS because unknown to me I had my recordings for this show set to max 25 episodes and had exceeded this so it did not bleedin well tape the Capri one. I was distraught as next rerun was not till next weekend !! I was checking you tube this morning but could not find it. Thanks for this link fella. Good man yourself !!!! I enjoyed it but they didn't have to try and make us think that the owner thought they had a genuine RS when you could clearly see from a mile away it wasn't! TV drama I suppose. Nice power from an Essex too but I think I would've fitted a 5speed box. That was a good episode, and quite a bit more informative than others I have seen in the past. Ah man! It’s been taken down over copyright. Put these things on channels for the poor man! Not all of us can afford to pay £100 for tv a month! ollyw wrote: Ah man! It’s been taken down over copyright. Somebody else may re-upload it, keep checking YouTube for new uploads. Failing that, it will probably be on More 4 or whatever in a few months.